You can credit the grasslands for changes to Killdeer Main Street. Topography, vegetation, and the commerce that followed are credited with building Killdeer. The first buildings were moved to town from Dunn Center 100 years ago. A new rail line from Mandan to Killdeer brought commerce to town. An access to the markets for abundant small grain crops and cattle prompted ranching and farming to flourish in those early days. Killdeer Main Street grew, and burned up, then grew again. A grain elevator marked the end of the Mandan to Killdeer rail line until it burned up. Main Street Killdeer probably about 1917. Several other fires consumed portions of Killdeer’s Main street. Today, it’s a robust oil economy that has brought the most recent upgrades to Killdeer’s Main Street. Yet, standing through it all is the Buckskin saloon and dining room. You can see it up there on the right side of the historic photo and the recent photo. Prime Rib sandwich from the Buckskin in Killdeer. Friendly and professional, the chef at the Buckskin makes the food right! Killdeer is on a growth curve, so you can expect Killdeer Main Street to continue it’s “Then and Now” changes. Less wood. Better fire protection. Snapshot Saturday, the NEW Killdeer rodeo grounds preserve its distinguishing quality — hillside viewing. It’s under construction now but will be ready for the Fourth of July Killdeer Roundup. It’s always had that “hillside” appeal. “Then and Now” runs each Thursday here on Beautiful Badlands ND. 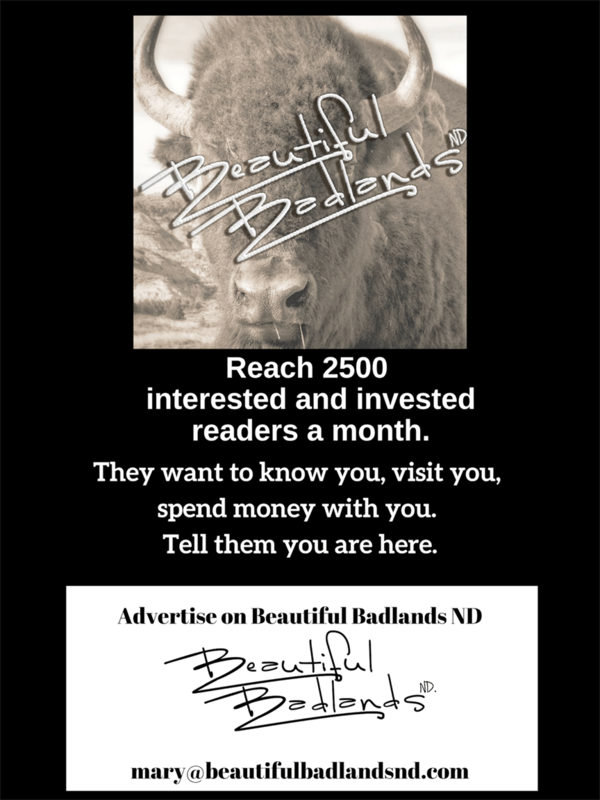 Add your email to get a note in your inbox each time a new story is posted in Beautiful Badlands ND. The sign-up box is in the upper right corner. Share with your friends in Killdeer, just click the share button. Up the road is the most rugged region of North Dakota, the Little Missouri State Park.